The 72 Hour Survival Kit – Why it is Vital it be a Part of Every Survival Plan! Much like the Get Home Bag (GHB,) a 72-Hour Survival Kit is different from your bug-out bag or long-term survival cache. 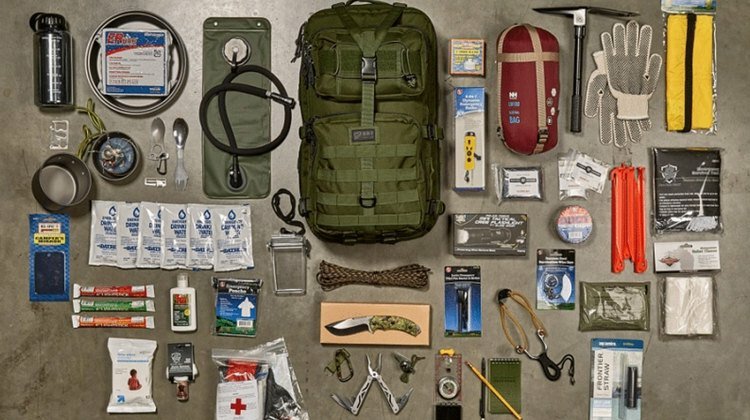 Included in the 72-Hour Survival Kit is enough survival materials, supplies, and equipment that you can live comfortably and safely virtually no matter what survival incident you are enduring. The goal is to get you through the initial aftermath and allow you to get to your bug-out location, bug-out bag or a safe place. To see a list of what should be in your 72-Hour Survival Kit, check out the next page! If you need all that to survive 72hrs, you probably ain’t gonna make it anyway. What’s the gloves for and what’s noted as essential ain’t going to far t in that small day sack! !